Significantly reduces drying time of carpets, walls and ceilings. Ideal for use after floods, spillages or extraction cleaning. 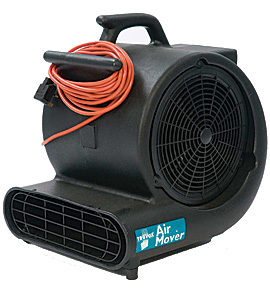 The Truvox Air Mover produces airflow of 2600 m³/h to make drying floors of any type or size quick and easy. It is ideal for contract cleaners and specialist carpet cleaners; it significantly reduces the drying time of carpets after extraction cleaning.